Hopefully the team is motivated after the Knicks dumpster game. We need to win this one. GO LAKERS! Unfortunately, a win is less likely than a big fat L right now. Semper Fidelis, so come on Lakers!! They really need this one if they want a 1-1 road trip. Dallas is waiting at home, and they don’t lose often at home. 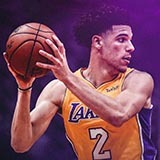 Lonzo breakout game, c'mon... must win! Ingram and Lonzo need to step up. This is another one of those tough stretch 5 matchups. KAT can shoot the 3. The Timberwolves also have been without Derrick Rose (sprained ankle) the last four games, and lost one of their newcomers, Robert Covington, to a bruised knee on Monday against New Orleans. The latter loss is noticeable, standout big man Karl-Anthony Towns told reporters Friday night, on a team that's allowed four of its last nine opponents to score more than 120 points. "It's a big blow for our team," he insisted. "He's a great defensive player, obviously. The energy and the character and pure passion he brings to the game, for us, is contagious." Comments: Timberwolves coach Tom Thibodeau said Covington's knee injury will keep him out an extended period. Comments: Rose (sprained right ankle) will miss a fifth straight game Sunday. Comments: James will miss at least four more games with a left groin strain he suffered on Christmas Day. 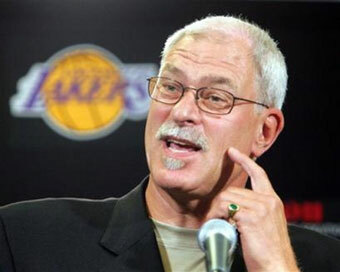 The Lakers announced the four-time NBA MVP will be re-evaluated in one week. Comments: Kuzma (lower back contusion) is questionable for Sunday after he did not play Friday against the Knicks. Comments: Rondo will be sidelined at least a month after undergoing ligament surgery on his right ring finger. Rondo sprained his finger during the Lakers' stunning Christmas Day victory at Golden State. He had had surgery Friday and the team says he is expected to fully recover in four to five weeks. Luke Walton said Kuzma’s pregame workout went well but he’s still going to be a game time decision. Both Teams move closer to .500! That's big news. His play this season has been nothing short of spectacular. He also ranks no. 4 in the league in 3PT%, can you believe that? A 31% shooter for his career is currently sitting at 46%. In fact he hasn't shot over 29% from downtown since his 10 game 2013/14 season. Hoping for a rebound win. Go Lakers! Any chance Zo brings the ball up court and runs the offense tonight? He's not a PG yet, he needs to learn that from Rondo. If he's aggressive he'll drive a lot and maybe dunk, but he can't control the offense like Rondo or Lebron. Hopefully that comes with time. Triple Double for Ingram ..... calling it right now. He's going to come out and look to facilitate first.